Now, I know that folks are still in their heads and feels about Tha Carter V, and I respect that. I mean, we--and Wayne himself--waited for years for that album to drop. And it's not completely trash. It's not going to be legendary status (at least, to me). However, it's not complete trash. Granted, I wasn't crying when I heard Mama Cida talk about the gun incident or when XXXTentacion's hook for "Don't Cry" came on, but it wasn't an unmitigated disaster like I feared it'd be. Heck, I even found myself saying "yes, there's the 'Old Weezy'" during a few sequences. With that said, I came into last week looking forward to Logic's release, YSIV, more than CV. Sorry not sorry. That's doubly true when we're comparing the former to Kanye West's YANDHI (but that's expected from me; I haven't really enjoyed a Kanye release, aside from a beat here or there, since 2010). Logic dropped an AOTY candidate last year with Everybody. Now, it wasn't for everybody and I sometimes grew tired of his going to the "I'm biracial" well as much as he did. I would've preferred that he talk about how being biracial made him a better person versus just saying "Black people don't think I'm Black enough and white folks still want to call me the n-word." With that in mind, I still enjoyed Everybody and thought it was an amazing project, even if I skip over "AfricAryaN" almost every time it comes on in the car. The brother has dope concepts and usually hits his marks. But, dope concepts aren't everything. You've got to have the bars to go along with those concepts. YSIV deals with the "death" of the Young Sinatra persona Logic delivered his early projects under as much as it's a celebration of what makes hip-hop great. It's the superior album between it and Everybody because of its wordplay, its exhibited love of boombap, and the fact that the narrative isn't as hung up on being biracial and a rapper as it is about being Logic, a rapper who happens to be biracial. If you're looking for a certified multi-platinum selling single like "1-800-273-8255," you're probably going to have to keep looking. The album, even when it steeps its toes into conscious pop rap, it reels you back in with a barrage of hippity-hop goodness. That's including tracks featuring artists such as Hailee Steinfeld (who gives more than her all on her feature, "Ordinary Day") and Ryan Tedder on "One Day," a song Logic discusses as being the most-positive song on the project. Logic additionally channels artists such as (the old) Kanye throughout the project with his witticism, social commentary, and creative visuals. He also does so with an ear for head-nodder-friendly production that still hits listeners in the chest with emotion. Let's look at the songs "One Day" and "Wu Tang Forever." I mentioned that "One Day" was (somewhat) conscious pop rap, but it's the video that makes the song. That's not to say that "One Day" is a slouch in the lyrical department; on the contrary, the song is Young Sinatra personified: optimistic, lyrical, and pop-friendly without being straight-up pop. However, the visuals in the song's accompanying video also bring back images of songs such as "America" from Everybody and remind us that Logic isn't just rapping to hear himself speak. That's where the comparison to (the old) Kanye comes in. For most of Logic's career, he's been compared to Kendrick Lamar and J. Cole. However, I'd like to think that he also pulls a lot of influence from Kanye West and Lupe Fiasco--perhaps even more so than Kung Fu Kenny and Cole. The video for "One Day" plays like a 2010s version of "American Terrorist" meets "Jesus Walks" while the song proper gives off some of those same vibes, but with a happier spin on things. Being that those are among my favorite songs from their respective artists--even with Kanye being "canceled" these days--"One Day" gets me every time I hear it. With regards to "Wu Tang Forever," it's a proper tribute to the group...versus referencing the group and then going left and singing about women. Now, in 2018, a Wu Tang release could've been seen as an "old man yells at cloud" moment for some (read: those who don't respect their elders) if not played right. However, Logic set the tone and the Wu followed suit--and did so in a way that was rightfully critical of the state of hip-hop but not in a way that looked down at the newer kids without reason. Plus, Logic was able to get the group on one beautiful track and let each member do what they do best. It is a moment in modern-day rap history and one that helps bring Logic, as an artist and a man, full circle. Logic, for me, is at his best when he's jabbing away with bars while still making music that all sides of the hip-hop world can, at the very least, appreciate. 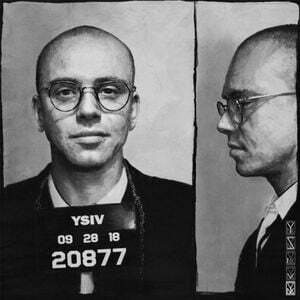 Everybody had that--and had a decent amount of it--but YSIV has it in spades. In fact, this is about as flawless an album as I've ever heard from Logic and this is coming from a guy who's watched his come-up from shows at the Thirsty Turtle to now. He set out with a mission on this project, to keep it tied to his new persona while paying homage to hip-hop and his original persona. From where I'm standing, Logic achieved that and more on YSIV. Check it out above and remember to support dope music in all its forms.